In September, the entire university will kick off a full year of celebrating the 150th anniversary of Purdue University. With many special activities and events planned across the campus, this will be a great time to look back at what we have accomplished and use that as a springboard to move forward. The university’s overall goal for the 150th is to “redefine the scope of land-grant universities and challenge global leaders to take GIANT LEAPS in solving worldwide problems.“ (https://takegiantleaps.com/) Under the “Giant Leaps” umbrella, the themes for this year of celebration include Giant Leaps in 1) Space Exploration, 2) Artificial Intelligence, 3) Health and Longevity, and 4) Sustainable Economy and Planet. Over the next year, I will use this column to talk about some of the giant leaps that our College is taking in all the land grant mission areas. Our students are very innovative and in turn, we offer innovative teaching and learning. In Extension, we develop, deliver and assess innovative programs and activities and deliver them face-to-face and to those who are far away from our campus. Our scientists are conducting both fundamental and applied research using (and sometimes inventing) the latest technologies; and we are working to reach out in new and innovative ways in both international programs and in our diversity and inclusion efforts. Our newest students began their college journey this week. What will be their giant leaps? Their first giant leap was choosing Purdue. Many students have left the safety of home and a school where they knew everyone and knew what to expect, and now are adjusting to a place where everything is new and unfamiliar. You can see the excitement and sometimes anxiety on their faces as they anticipate this next adventure. Our job is to make them feel comfortable and accepted, and to help them feel assured that the people of the College of Agriculture are here to help and support them. And, just as important, we are here to help inspire them and help them find and pursue their dreams. In Agriculture, we are connected to the Giant Leaps in Space Exploration in our teaching, research and Extension. I am an example of that, as I worked for NASA as the Lead Scientist for the International Space Station Biological Research Station and I conducted research on the space shuttle. But today, we are focusing on the student experience. Last year, Purdue Agriculture students were part of a team that went on a two-week mission to the Mars Desert Research Station in Utah. “Boilers to Mars,” as the team was called, spent its time in an Earth-based facility that requires inhabitants to develop the skills required for human space exploration. It is surrounded by desert that simulates the Mars environment. The team posted a short video describing their mission: https://www.youtube.com/watch?v=7uHVS7_MFkA&feature=youtu.be. You can also read about the mission here. This incredible experience not only allowed the student team members to develop new ideas for space exploration and experience growing their own food in a greenhouse with microgreens as if they were in space, but they also learned interpersonal interactions and teamwork. But this is not the only Purdue Agriculture connection to space exploration! The Giant Leap in space exploration goes across the land grant mission. There is more to cover—from “shuttle gum” trees to building habitats for biological specimens on the International Space Station. In the months to come, I’ll talk about these and many more Giant Leaps for College of Agriculture students, faculty, and staff. We are excited about the opportunities to celebrate 150 years of Purdue University and look forward to the next 150! The Graduate Research Spotlight highlights graduate students and their work. 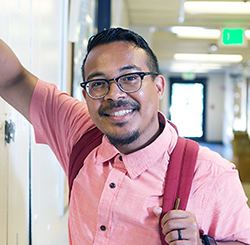 The August spotlight is on Julius Eason, Entomology. 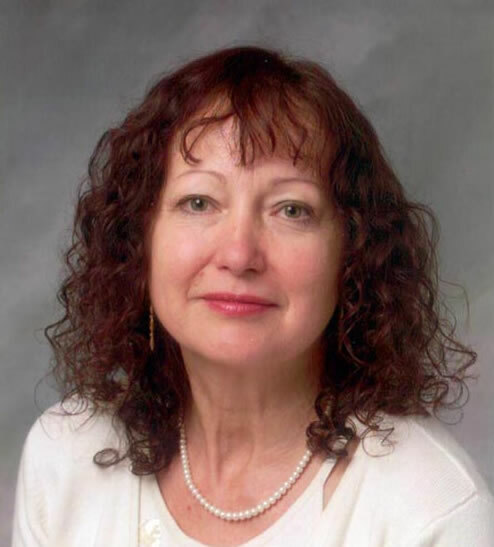 Dr. Monika Ivantysynova, Maha Professor of Fluid Power Systems and Director of the Maha Fluid Power Research Center, passed away on August 11 after a battle with cancer. 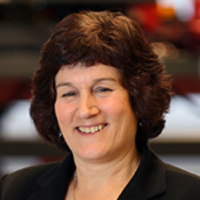 Faculty and staff are invited to a reception on August 29 from 2:30-4:30 in Creighton Hall to honor Donya Lester as she retires as Executive Director of the Purdue Ag Alumni Association. The Purdue Ag Alumni Common Read will debut this fall in honor of Purdue’s sesquicentennial celebration. 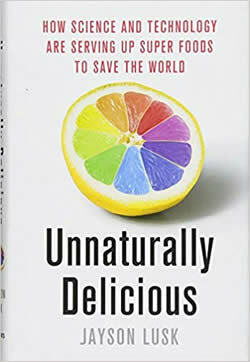 Purdue Agriculture alumni and other readers from around the world will read “Unnaturally Delicious” and participate in three live-streamed Q&As with the book’s author, distinguished professor and agricultural economics department head Jayson Lusk, along with special guests. 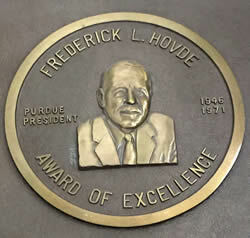 Purdue Extension is accepting nominations for the 2018 Frederick L. Hovde Award of Excellence, which is given annually to a member of Purdue University's faculty or staff who has displayed outstanding educational service to rural Indiana. Rain soaked students on Purdue’s first day of classes, but it didn’t dampen their enthusiasm. Lecture halls brimmed and coffee bar lines swelled as students, faculty and staff kicked off the fall semester. Bruce Erickson, Agronomy, was named the winner of the PrecisionAg Institute's 2018 Educator/ Researcher Award of Excellence. 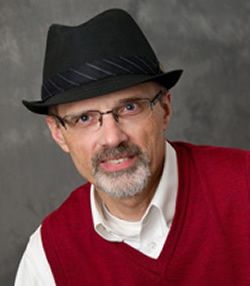 Chris Hurt, Agricultural Economics won the Agricultural and Applied Economics Association Premier Forecaster Award for Livestock Prices forecasts and combined award for Livestock and Crop Price forecasts. 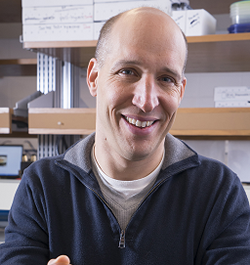 Christian Krupke, Entomology, was named a 2018 Science policy Fellow by the Entomological Society of America. 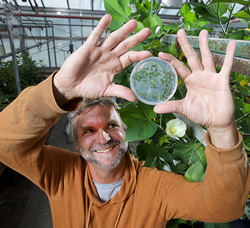 Rick Latin, Botany and Plant Pathology, received the 2018 Fellow Award from the American Phytopathological Society for his significant contributions to plant pathology. 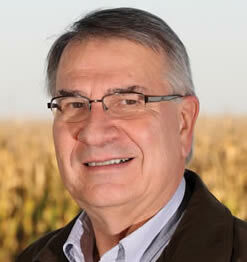 Tony Vyn, Agronomy, was appointed to the Henry Wallace Chair in Crop Sciences by Purdue’s Board of Trustees on August 3. Purdue University will host the Scale Up Conference on Sept. 25-27 to address how the large scale adoption of technologies can shift agricultural innovations from research institutions into the developing world. Hosted in collaboration with the African Development Bank, the conference will feature Akinwumi Adesina, president of the African Development Bank, Purdue alumnus, and 2017 World Food Prize Laureate as the keynote speaker. 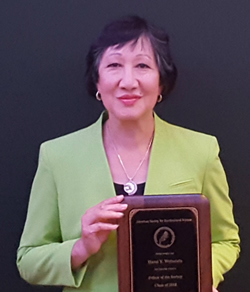 The Department of Animal Sciences has established its first endowed chair in poultry science. 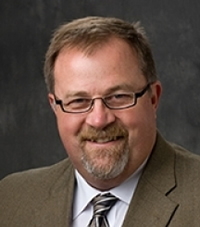 The Chair will help support a faculty member conducting research, education and outreach on issues of importance to the poultry industry, which has an annual impact on the Indiana economy of more than $4 billion. 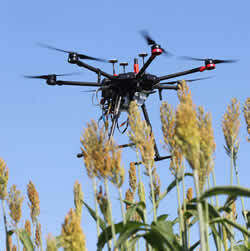 To help Hoosier farmers take full advantage of the promising new UAV technology, Purdue Extension is hosting a series of demonstrations throughout the state this summer. Participants get hands-on, practical instruction in flight techniques and learn how to download and process the immense amount of data the drones can collect. 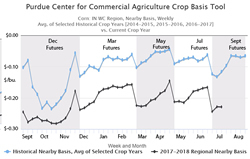 The Center forCommercial Agriculture has unveiled the Crop Basis Tool, a new web-based tool that provides agricultural producers with access to weekly historical and contemporaneous corn and soybean basis data for local market regions in the eastern corn belt. 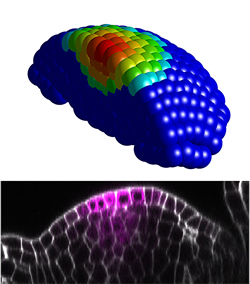 A study led by Dan Szymanski, Botany and Plant Pathology, has mapped a complex series of pathways that control the shape of plant cells. The findings are an important step toward customizing how plants grow to suit particular agronomic needs and improving the quality of the cotton grown in the United States. 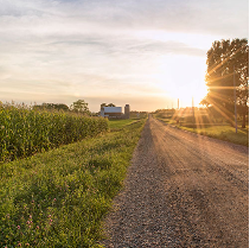 Over the coming decades, Hoosier farmers will have to adapt to rising temperatures and changing precipitation patterns that will affect row crops, livestock, poultry, specialty crops and soil health, according to the report Indiana’s Agriculture in a Changing Climate by the Purdue-based Indiana Climate Change Impacts Assessment. 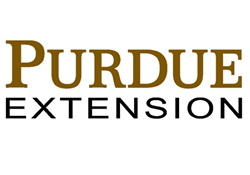 Purdue Extension will host several Mental Health First Aid courses this fall to teach participants how to help someone who is developing a mental health problem or experiencing a mental health crisis, or has signs of substance use disorders, including opioid use. 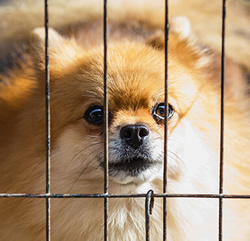 The Stanton Foundation has awarded a grant of $1.98 million to Dr. Candace Croney and her research team to study the welfare of dogs and puppies in commercial breeding kennels. 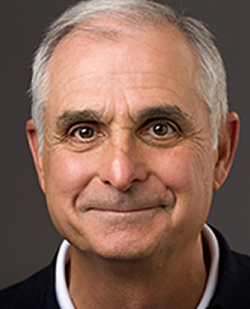 Dr. Croney serves as director of the Purdue Center for Animal Welfare Science and holds a joint appointment as professor of animal behavior and well-being in the College of Veterinary Medicine and professor of animal sciences. A study led by Yun Zhou, Botany and Plant Pathology and the Purdue Center for Plant Biology, has uncovered mechanisms that lead to stem cell formation and maintenance in plants. The findings may one day allow scientists to manipulate stem cell production to increase biomass that can be used for biofuels or grain yield in plants like corn and soybeans. 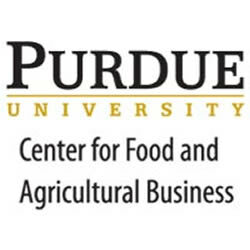 The Center for Food and Agricultural Business will present the 2018 Strategic Agri-Marketing seminar Oct. 9-11 at Purdue University. 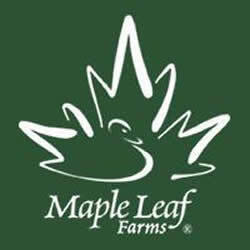 The program is designed for agricultural businesses looking to create an integrated and cohesive marketing strategy. 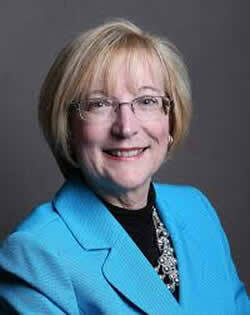 Participants will use real-world case studies to better understand the decision-making process for effective marketing. 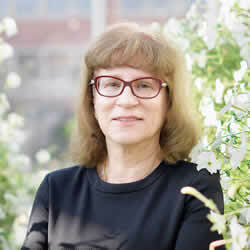 Purdue University scientists led by Dr. Natalia Dudareva, Biochemistry and the Purdue Center for Plant Biology, have discovered the switch in plants that turns off production of terpenoids, compounds that play roles in plant physiology and are used by humans in everything from fragrances and flavoring to biofuels and pharmaceuticals. 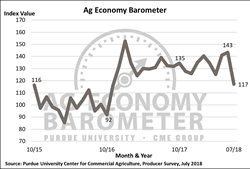 The Purdue University/CME Group Ag Economy Barometer declined 26 points in July, the largest one-month decline in producer sentiment since data collection began in October 2015. The drop in sentiment was fueled by increasing trade war concerns and decreasing commodity prices. 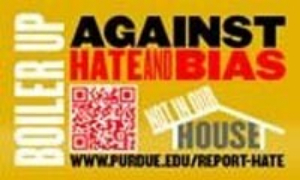 Purdue University has sunk to the bottom of the Big Ten in an important measure for students and their families. In just seven years, Purdue has gone from the second-highest predominant room and board rates among Big Ten institutions to the lowest. An orientation program directed at newly tenured faculty will be held from 8:30 a.m. to 1:30 p.m. Sept. 11 in Stewart Center, Rooms 218ABC. Registration is required by August 31. Purdue University police and the Office of International Student Services are warning of a phone scam that could fool students into divulging personal information, leading to identity theft.